Ozzy Osbourne shares the story of auditioning guitarist Randy Rhoads with his son, Jack, in the third and final episode of a three-part series for Noisey entitled Back & Forth. Rhoads entered Ozzy’s life as he was trying to build a band following his dismissal from Black Sabbath in April of 1979. Bassist Dana Strum – who later went on to form Slaughter – was working with Ozzy to audition players when he brought Rhoads in to the studio. 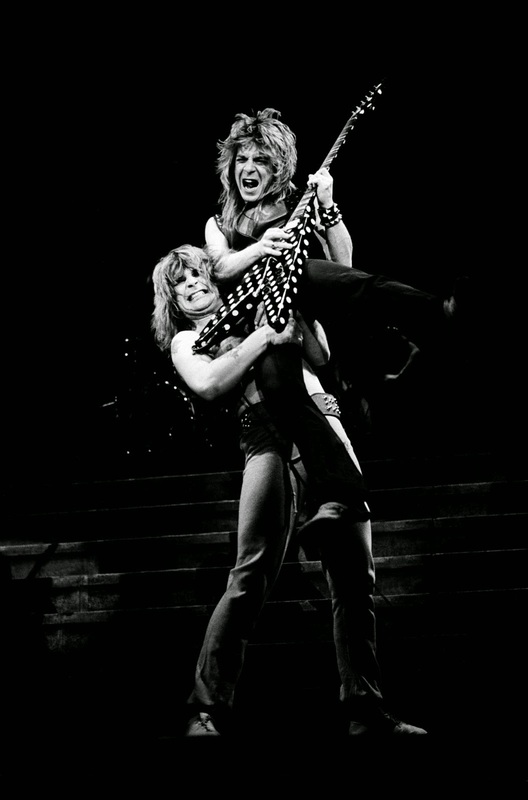 Rhoads joined Ozzy’s new band, Blizzard Of Ozz, and went on to record the group’s explosive 1980 debut and 1981’s “Diary Of A Madman” before being killed in a plane accident at the age of 25 on March 19, 1982 while on tour with Osbourne (read about the tragic incident here). The Black Sabbath frontman also recalls the story of hiring guitarist Zakk Wylde in 1987, as well as his dealings with fame once he found that the MTV series, The Osbournes, took his celebrity status to another level. Check out part one of the series here and part two here. Ozzy will be honored with the Global Icon Award at the 2014 MTV EMA (MTV Europe Music Awards) this Sunday at the SSE Hydro Arena in Glasgow, Scotland.